At the entrance to the main museum in Kassel, Germany, the Turkish artist Banu Cennetoğlu has replaced the museum’s name – Fredericianum – with the slogan “Being Safe is Scary.” The slogan is Cennetoğlu’s tribute to Gurbetelli Ersöz, a Kurdish journalist who joined the Kurdistan Workers Party, a guerrilla army, and died in 1997 when a German-made, Turkish-operated tank blew off both of her legs. The phrase is from graffiti on a wall at the National Technical University of Athens (2017). It echoes the bravery in Ersöz’s diaries, which were published a year after her death in Germany and are now banned in Turkey. It is likely that Ersöz’s legs were blown off by a Leopard Tank, manufactured in Kassel and sold to the Turkish military. 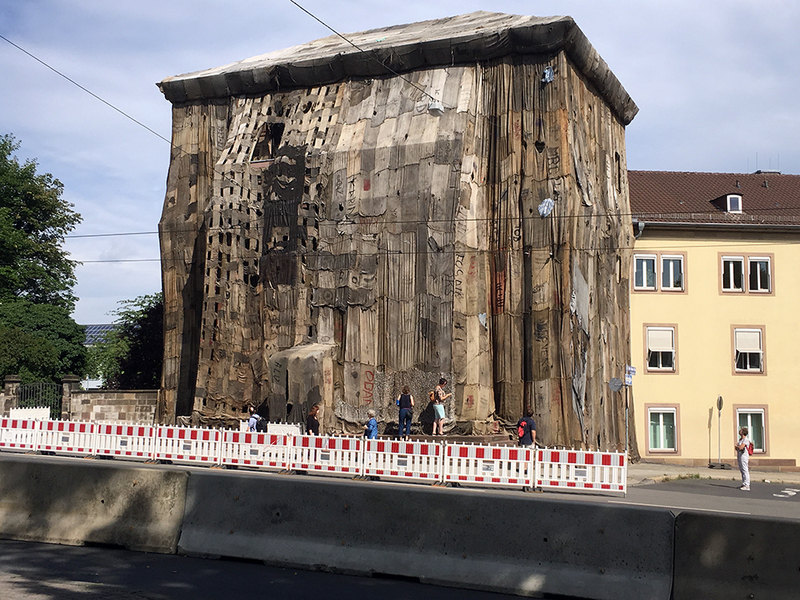 Kassel, one of the epicentres of Nazi Germany, is home to the work of 160 artists spread out across the city for documenta 14 – an exhibition of contemporary art which has taken place every five years since 1955. The founder of documenta, Arnold Bode, was eager to showcase what the Nazis called Entartete Kunst or Degenerate Art in his hometown. As a result, documenta was designed to grind the Nazi interlude into dust. At documenta 14 in 2017, Ersöz’s words, “Being safe is scary” are meant to link Bode’s animosity towards Kassel’s Nazi past to Cennetoğlu’s tribute to the journalist. Europe’s belief that it had the resources to undo Nazism from within lasted until documenta 10 in 1997 – the artistic director that year finally opened up the exhibition to artists from outside Europe. Out of the documenta in 1997 grew the No One is Illegal network, that links anti-racist and refugee advocates with artists. This year fellowships for refugees remains central to documenta. Kurdish-Iraqi artist Hiwa K has created an exhibit called When We Were Exhaling to record the emotions of his own flight from Northern Iraq by foot in the 1990s. A 16-meter obelisk designed by the Nigerian artist and writer Olu Oguibe sits in Königsplatz. 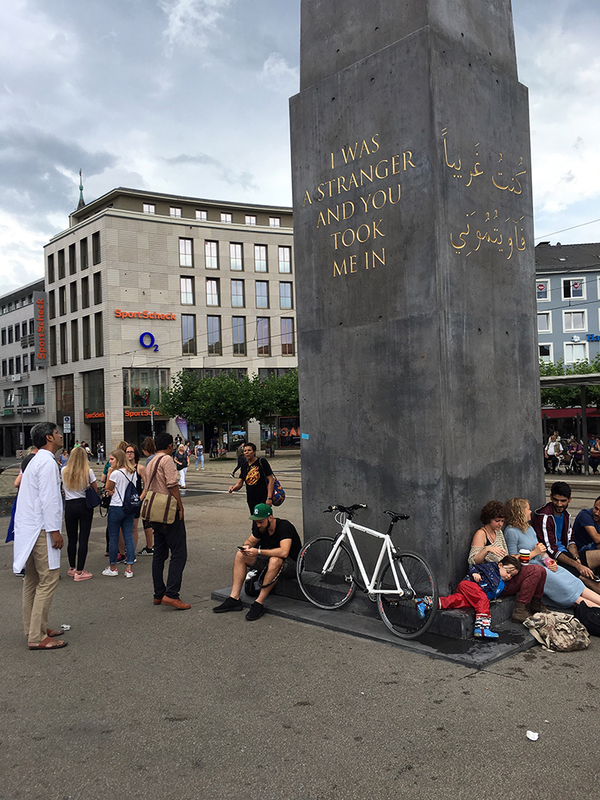 On the obelisk are the words – “I was a stranger and you took me in” – in Arabic, English, German and Turkish. Not far way, hanging between Roman columns are Hans Haacke’s banners in several languages, that read: “We [all] are the people.” This is a liberal hope. It is insufficient. Sniffing at the edges of Kassel are not only the tank manufacturers, but also the neo-Nazis. One of the galleries, the Society of Friends of Halit has created an investigative film (with contributions from Forensic Architecture) called 77sqm_9:26min, looking at the murder of Halit Yozgat at his internet cafe in Kassel on April 6, 2006. Yozgat, a Turkish-German, was the ninth person to be murdered by a neo-Nazi group. The film shows a German intelligence officer Andreas Temme, who despite being embedded in a fascist cell at the time Yozgat was killed, claims not to have noticed anything remiss with the group’s activities. As the narrative builds complicity hangs thick in the air. What is the relationship between the state and the neo-Nazis? Is it enough to say that we are all human, when some of us are never treated as such? The German media described these murders as the “Kebab Murders” suggesting they had something to do with the migrants themselves. The point documenta struggles to make is that these were in fact, murders by fascists, who are still among us. Not far from the terracotta reliefs of KG Subramanyam and the paintings of Amrita Sher-Gil is a room in Kassel dedicated to the fight against complicity: between one to three million Indians died in the imperialist-made Bengal Famine of 1943 but at the time, newspapers in India did not feel imperilled to report on this atrocity. As the refugees came into the cities, the Communists sent their reporters to break the silence and their own activists to help organise relief committees. The artists Zainul Abedin and Chittaprosad Bhattacharya (who used only his first name) joined the photographer Sunil Janah with correspondents Subhash Mukherji and PC Joshi in a journey through the famine lands. The group documented the famine with great feeling – not merely its horrors and deaths but the dignity of people as they struggled through it. The pictures by Abedin and Chittaprosad along with copies of the Communist newspaper, People’s War produce a great soberness, testament to a holocaust that went unrecognised. 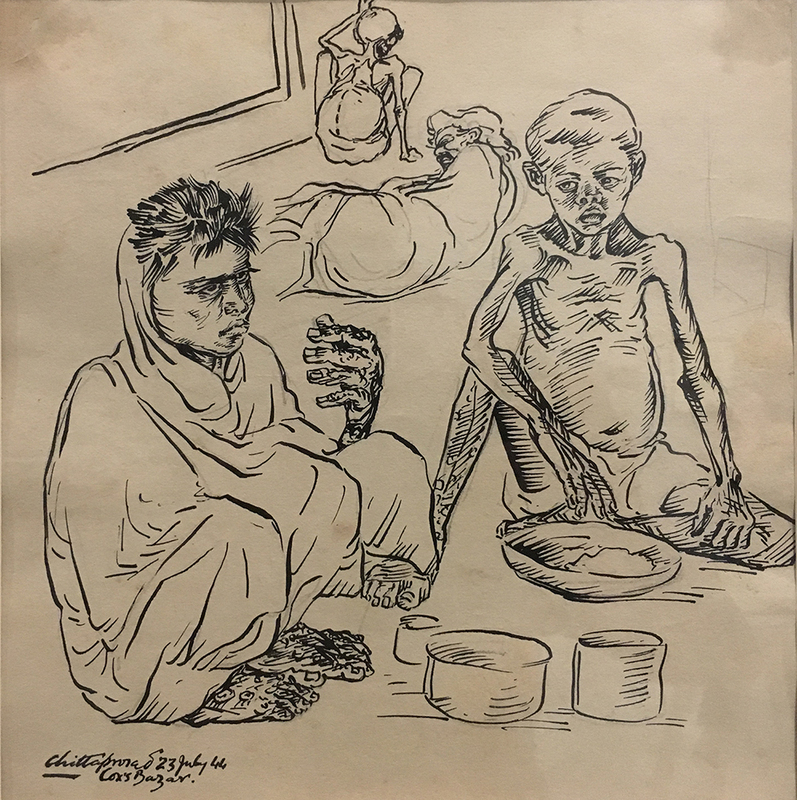 Chittaprosad, a self-taught artist from Chittagong, documented the famine’s epicentre in Midnapur. A note in the Communist paper describes his work saying: “love of the people is the strength behind his brush”. 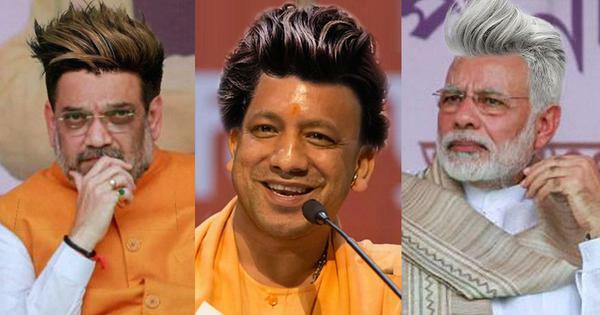 It was not enough for Chittaprosad to draw people, he had to tell their stories, to remember their world. He talked to starving peasants and jotted down their stories in his sketchbook. 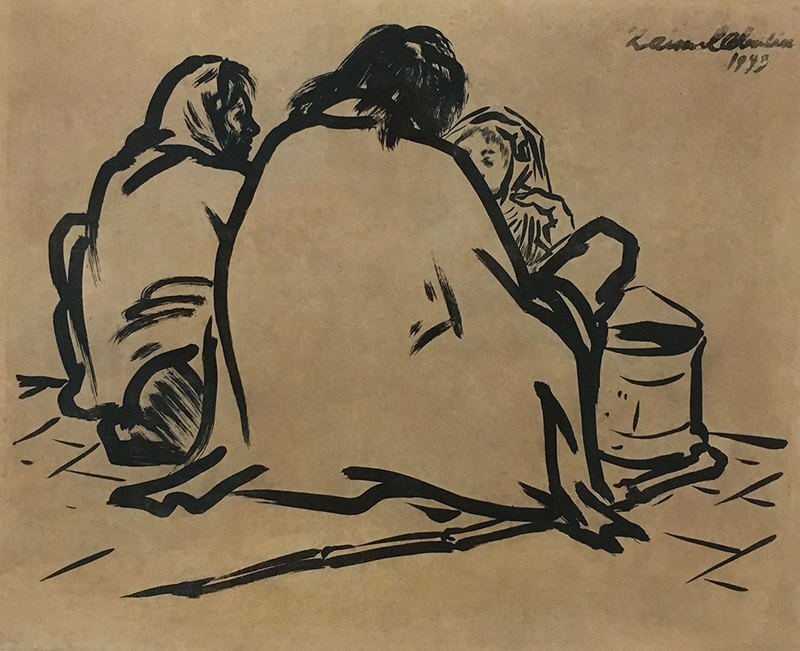 One drawing of a woman named Sarajubala Kaibarta and her son Sumanta, shows them sitting in the verandah of a supply godown in Barabazar. They share this small space with twelve women and six men. 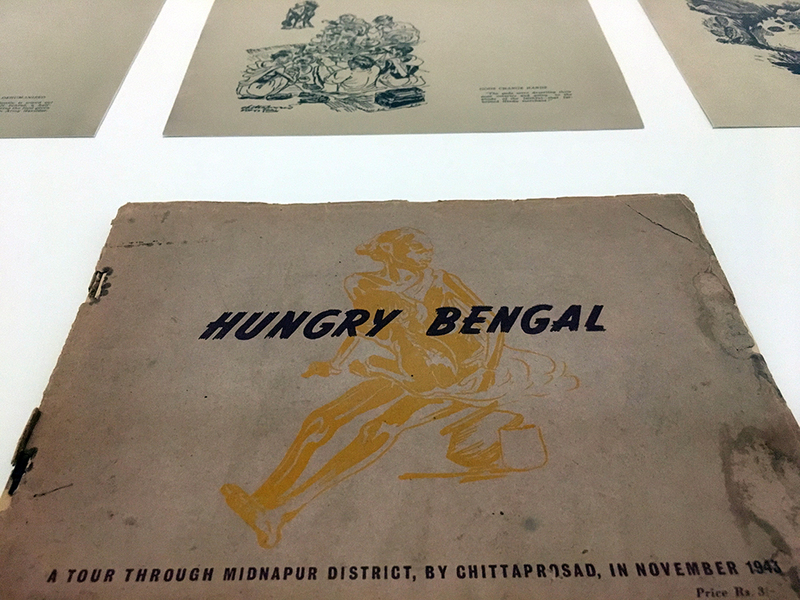 These are scenes from Hungry Bengal: A Tour Through Midnapur District, by Chittaprosad, in November 1943, of which the Communists printed five thousand copies. The British seized and destroyed most of them, but a few escaped the censor. One sits beneath the glass at Kassel. The largest installation at documenta 14 is the Parthenon of Books. 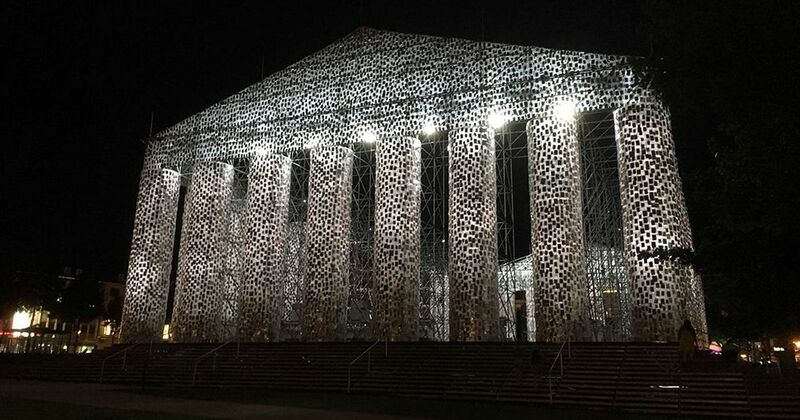 A plastic and steel scale replica of the Greek Parthenon, it carries within it a hundred thousand books that were once banned. The installation is built in the open space where the Nazis once burned books that they did not like, and is a rebuke to that event – but it is insufficient. There is something tired about this Parthenon, there is nothing critical here. 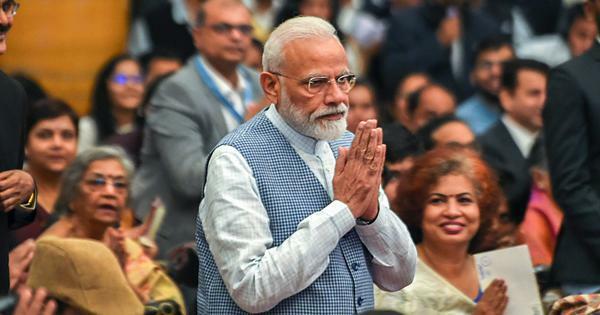 It seems smug, saying look at us – we are so far from Nazism, so liberal in our outlook. The installation is also dated. The Parthenon of Books was erected by Argentinian artist Marta Minujin in Buenos Aires in 1983. 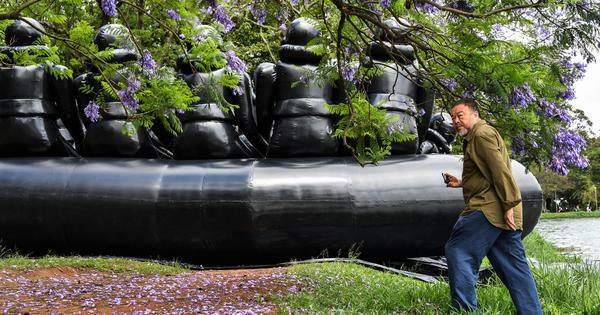 It appeared months after the fall of the military junta that ruled from 1976 and banned books as frequently as it sent activists to be tortured and killed. When Minujin’s installation was dismantled in Argentina after three weeks, she handed out the formerly banned books to passers-by. Back then, the books were still charged with electric meaning. Now, they feel stale. Staler still was the atmosphere when protestors from local left groups in Kassel arrived near the Parthenon to denounce the arms industry in their city. The police arrived, and offered them a simple choice: leave or be arrested. In the shadow of the Parthenon of Banned Books, and the sign that read “Being Safe is Scary”, the protestors withdrew. The tanks had won the battle. 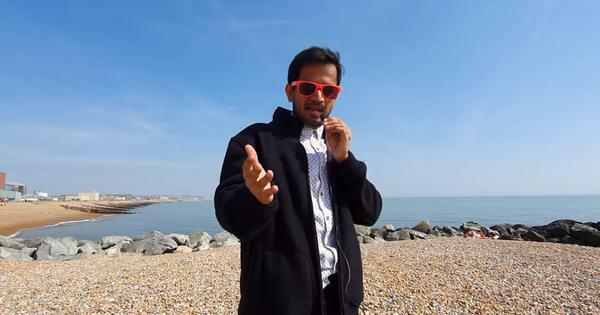 Vijay Prashad appears in Naeem Mohaiemen’s Three Channel film Two Meetings and a Funeral, which is being shown at documenta 14 in Kassel, Germany until September 17.